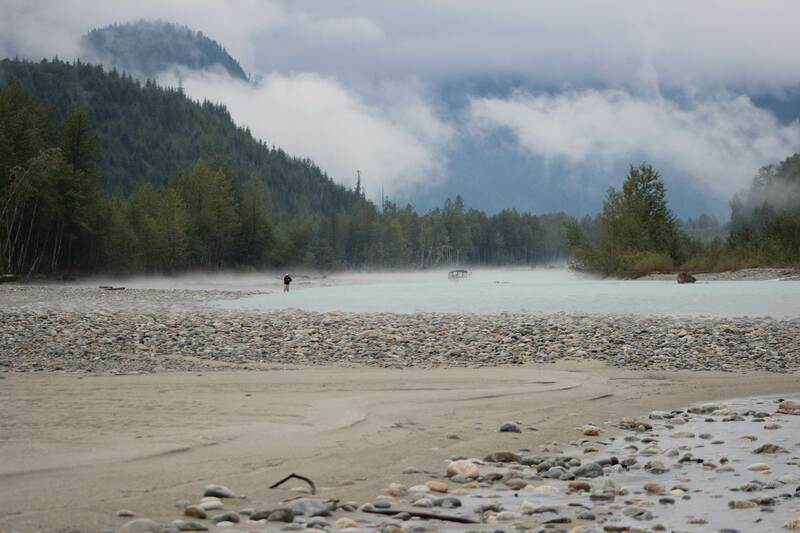 The Fraser River is now open for Chinook Salmon Fishing, there are good numbers of fish in the river and the Pink Salmon are just pouring in the past two days. The run size has been upgraded to 16 million so lots more to come. 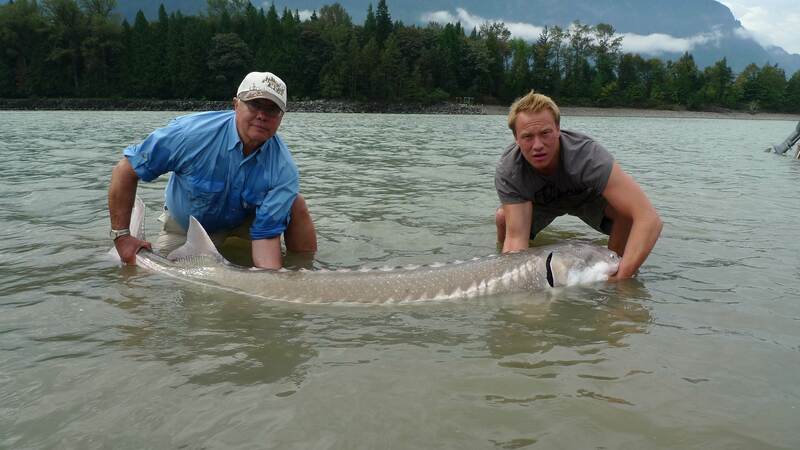 Here is a nice 7ft 2 inch sturgeon we landed yesterday. Sturgeon fishing has been on fire the past week, lots of big fish around and it looks like this great fishing will continue through until end of September. Best bait has been Salmon bellies and salmon eggs, gills are working as well. 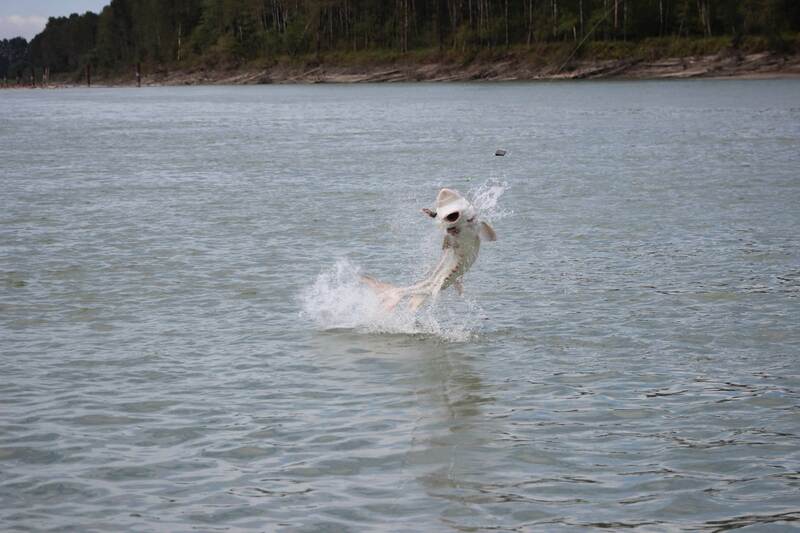 Here is a great shot that Thomas got while fishing near Mission Harbour. 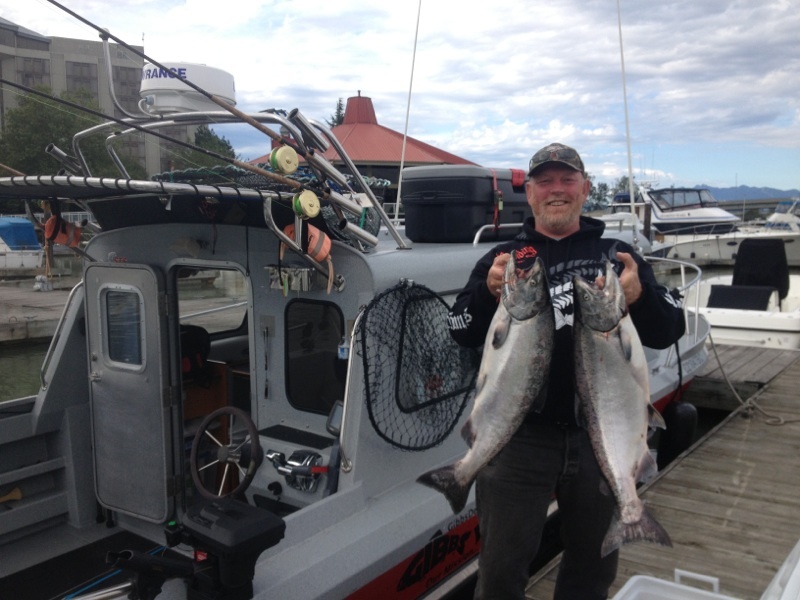 Salmon Fishing continues to be excellent for both Pink Salmon and Chinook Salmon. We are catching Pinks on jigs, Gibbs pink Ultra lures and on the fly. With the recent upgrade to 16 million, we can expect a great month of steady action on all gear types. Trout Fishing has been good to excellent on the Pitt River, Salmon are now spawning so the trout are laying behind eating eggs and getting fat. Water levels are low and clear so running this river can be difficult in these conditions. Be sure you have plenty of experience and the right boat if you try to go in these water conditions. We still have some canyon fishing dates available for late September and early October, fishing has been excellent and the whitewater is big. Vancouver Salmon Fishing continues to produce some great results, we landed 3 nice Chinook on Wednesday morning and we heard of 5 or 6 more caught in same area. We hooked 4 Chinook in about 2 hours, our best lure was the glo hoochie producing 3 of the 4 fish, also got one on an Anchovy. We will continue to offer saltwater salmon fishing charters until all the fish are in the rivers, then we suggest booking a river trip to target these same fish. Lots of great fishing on local river such as the Vedder, Chehalis, Harrison and Fraser. The season is just heating up so get that rod ready and get out there and enjoy the Fraser Valley. 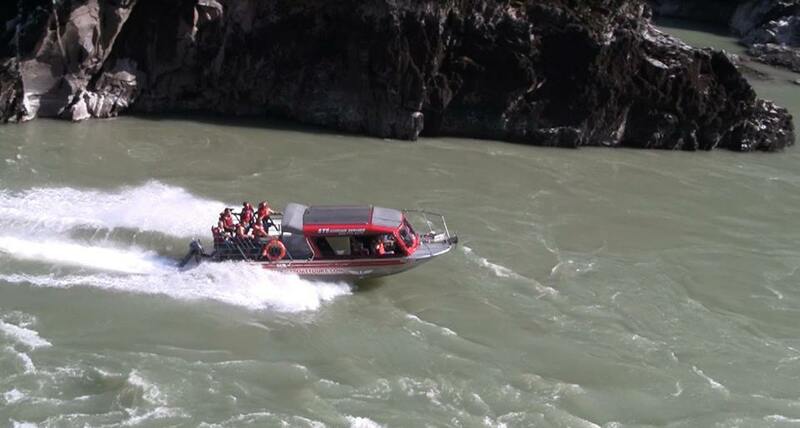 You are currently reading Sept 06 Fishing report at Hells Gate Jet Boat Tours Blog.